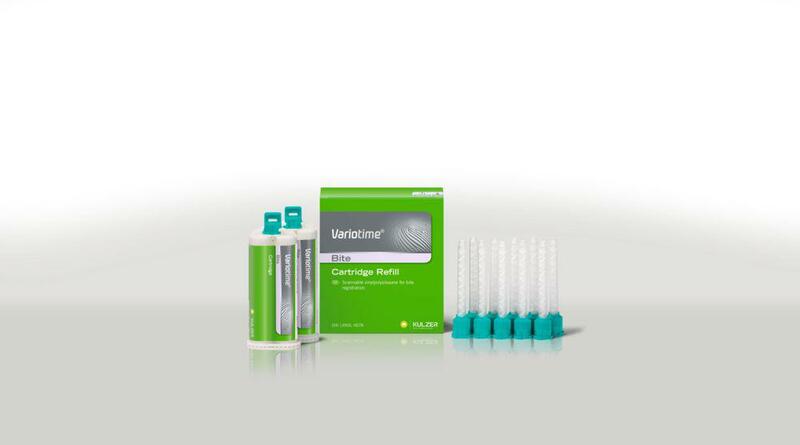 Variotime Bite is a scannable VPS bite registration material used by dentists for representation of the intraoral situation of a patients occlusion. The bite registration in combination with the complete impressions is the foundation for the dentists interface, the dental technician, to articulate indirect restorations. Variotime Bite is functional for standard bite registrations and for displaying the antagonists occlusion for CAD/CAM manufactured restorations, e.g. all-ceramic.